Satyam Computer Services Ltd., considered the poster child of India's information technology age, has shocked the world with a scandal of major proportions. The chairman of Satyam, a name that literally means "truth" in Sanskrit, said he cooked up key financial results, including a fictitious cash balance of more than $1 billion, raising doubts about the IT revolution hype in India that has attracted many international companies and significant foreign investments to the nation of over one billion people. The Wall Street Journal is reporting that B. Ramalinga Raju, founder and chairman of Satyam Computer Services Ltd., said in a letter of resignation that he also overstated profits for the past several years, overstated the amount of debt owed to the company and understated its liabilities. Eventually, he said, the scheme reached "simply unmanageable proportions" and he was left in a position that was "like riding a tiger, not knowing how to get off without being eaten." In the four-and-a-half page letter distributed by the Bombay stock exchange, Mr. Raju described a small discrepancy that grew beyond his control. “What started as a marginal gap between actual operating profit and the one reflected in the books of accounts continued to grow over the years. It has attained unmanageable proportions as the size of company operations grew,” he wrote. Mr. Raju ended his letter by acknowledging his misdeeds and said, "l am now prepared to subject myself to the laws of the land and face consequences thereof". While the Satyam scandal is being dubbed as "India's Enron", Raju's admission is in sharp contrast to Enron chairman Ken Lay's defiance in the face of massive evidence against him. Indeed, Raju's words are rare in the annals of corporate confessions and acceptance of personal responsibility by a top leader. Deeply worried by the fall-out from the Satyam scandal, other Indian firms are downplaying it. "I'm very sure that this is just an isolated incident which has nothing to do with the industry that it is in, the business that it is in, or the country it is in. It has to do with individuals and the specific company," Mr. Suresh Senapathy of Wipro told the Wall Street Journal. The analysts, however, are not as sanguine as Mr. Senapathy. "I think it's going to be a mixed bag for the other offshore IT-services firms," said George Price, an analyst at Stifel Nicolaus & Co. "Both investors and clients and potential clients are going to be more concerned about how stable their providers are." In the wake of Satyam revelations, the company's market valuation has dropped by nearly 80% in two days. India's benchmark Sensex index has plunged 7.2%, as investors reassess level of risk in the Indian market amid serious concerns about corporate governance and accounting standards across Indian industry. In Thursday trading, there were continuing fears that the Satyam scandal will affect other companies and hurt foreign investment. ICICI Bank tumbled 11%, Reliance Industries sank 13%, and Reliance Communications skidded 17%. However, shares of rival software firms outperformed the broad market, with Infosys Technologies gaining 1.7% and Wipro rising 0.2%. Even before the Satyam scandal and despite the 55% drop in India's benchmark Sensex in 2008, relative valuations were high. The market's PE ratio, based on expected earnings for the next 12 months, is 60% higher than emerging markets as a group and 72% higher according to its price-to-book ratio. The roughly 2% yield on the Sensex is minuscule compared to regional markets offering upwards of 5%. India's market cap overtook its GDP in May 2007. By January 2008, it had reached 180% of GDP, extraordinarily high compared to 131% for the U.S. during the dot-com bubble and 150% for Japan at its market peak. In July, the market-cap ratio dropped below 100%. What it means is that even if the Indian economy continues to do well over the next two decades, GDP would have to more than double for the market cap to return to its previous heights without an equities bubble. If the economy keeps growing at 7.2%, that doubling would take at least ten years. Hong Kong-based Political & Economic Risk Consultancy Ltd. has recently rated India as the riskiest of 14 Asian countries, not including Pakistan and Afghanistan, it analyzed for 2009. Satyam scandal is likely to add additional risk if the Indian authorities and corporate sector fail to take measures to restore investor confidence in India's publicly traded companies. You should stop your anti-India stance in your blog. Not only Satyam, there could be 1000s of other corporates in India who could be fudging their accounts. But how does that impact Pakistan's reeling economic conditions for the past several decades? Instead you must put some thought into how to uplift the economic conditions in Pakistan and make it an attractive destination to investors. I remind you again - Be Pakpositive and not Indianegative. Mr. Anonymous - Go and spread your message to your forign ministry as well. May be you dont realize that India used to be a part of Pakistan and India always lives in our heart. For me, all Indians regardless of religion are very dear indeed (except for that war monger Jaydev!). We understand each other so well yet we can't even live as good neighbours. World is suffering in th hands of Britian, Israel, and US. We all should try to become humble China or Iran or Venezuela. You say, "You should stop your anti-India stance in your blog." How is writing about Satyam anti-India? I don't understand your logic. Have you read the entire post? There is nothing anti-India in it. Let's not paint all criticism of India as anti-India. And why do you think I should restrict myself to writing about Pakistan? How did you make that decision for me? As a writer and observer, I have the freedom to write about any topic that interests me. This is not a government or commercial publication bound by any one other than me as a writer. India is the greatest example of crony capitalism which has created 50 billionaires (vs one in Pakistan) in a sea of poverty with 76% of Indians (vs 60% of Pakistanis) living on less than $2 a day. The verdict is finally out on India’s biggest corporate fraud. A special court under India’s Central Bureau of Investigation (CBI) on April 10 held the founders and former officials of outsourcing firm, Satyam Computer Services, guilty in an accounting scam worth Rs7,000 crore ($1.1 billion). 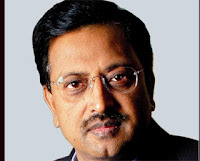 B Ramalinga Raju, the company’s former chairman, has been sentenced to seven years in jail. The case, which is also called the Enron of India, dates back to 2009. Six years ago, Raju wrote a letter to the Securities and Exchange Board of India (SEBI) and his company’s shareholders, admitting that he had manipulated the company’s earnings, and fooled investors. Nearly $1 billion—or 94% of the cash—on the books was fictitious. US$ 100 million+ #FakeDegrees industry. In US alone, 100,000 sold annually average $1000 each. London, England (CNN) -- With competition still fierce in the jobs market, some people might be tempted to beef up their resume by buying a fake degree. The problem of fake degrees is nothing new, but the Internet has made it easier than ever to obtain a bogus qualification. George Gollin, a board member of the U.S.-based Council for Higher Education Accreditation, told CNN he estimates that more than 100,000 fake degrees are sold each year in the U.S. alone. Of those, around one third are postgraduate degrees. He added that a bogus degree will typically cost $1,000. By trade, Gollin is a physics professor at the University of Illinois. He first became interested in degree mills after being spammed with offers of fake college degrees. According to a story in Wired Magazine, his interest turned to outrage after he stumbled upon news of a forensic psychologist who had purchased her degree. "Here's this person who's untrained doing therapeutic interventions," he told Wired. "I thought, 'Jesus, this is really bad.'" The institutions that sell these fake qualifications are known as either diploma mills or degree mills. Diploma mills issue fraudulent diplomas supposedly granted by real universities, while degree mills pose as real universities. According to Gollin, setting up a degree mill is simply a matter of creating a Web site that looks like it belongs to a genuine university. The Web site includes a way for customers to pay for their qualifications online and a place for prospective employers to contact to verify the degree is genuine. Some degree mills award degrees on the basis of the buyer's supposed "life experience," while others require a small amount of coursework. One degree mill required about a week's worth of coursework to earn a masters degree. Gollin said this token coursework is largely for the customers' benefit -- to help them convince themselves they have earned their qualification. While some people might be duped into believing they are obtaining a legitimate qualification, Gollin said that almost everyone buying from a degree mill knows they are getting a fake. "Anyone who's had any contact with a real college curriculum knows how hard you have to work," Gollin told CNN. "If you can get a whole PhD over the course of one week and you don't know that's not legitimate, then you're just dumb." But for some, knowingly buying a fake degree is an easy way of improving their job prospects. "Generally, fake degrees are usually bought for economic advantage for people who are seeking promotion or seeking to get jobs where the employer wants them to have a degree," Gollin told CNN. Those people come from all walks of life. Gollin gave the example of one American who bought a Bachelor's degree in nuclear engineering, and who's now working in the control room of a nuclear power plant. He also cited a U.S. degree mill that sells fake PhDs to real medical doctors for $10,000, and added that unqualified doctors have been jailed in the U.S. after attempting to practice medicine with a medical degree bought online. According to the story in Wired, Gollin was instrumental in the case brought against a degree mill which operated various bogus universities, including Saint Regis University. The "Saint Regis" degree mill was estimated to have made $7 million from selling fake qualifications to more than some 9,600 customers in 131 countries, according to Wired. In 2008, the couple behind the Saint Regis degree mill were each jailed for three years. In the U.S., and other countries, it is illegal to issue what purports to be a university degree without the approval of a government agency. But degree mills are often set up in such a way that makes it very hard to track down the people running the operation. Last February Kenya’s Commission on Higher Education refused to recognize degree certificates from unrecognized higher education institutions. The article in University World News, noted that numerous politicians were claiming such “degrees,” including several ministers. At the same time, the University of Düsseldorf in Germany withdrew the doctoral degree of the Minister of Education after an investigation for plagiarism. In 2013 the same university revoked the PhD awarded to Science and Education Minister, Annette Schavan, also for plagiarism. In 2011, the German minister of defense, Karl-Theodor zu Guttenberg, was forced to resign after plagiarism was found in his doctoral dissertation. The prestige of holding an advanced degree in Germany is particularly high, and thus the temptation to cut corners perhaps quite high as a result. In Pakistan when the constitution required that candidates for public office hold university degrees, fake degrees were rampant. The Pakistani Supreme Court ordered that the degrees of elected candidates had to be verified, a process became more complicated and controversial than anyone could have imagined. In 2012, rather than pursue the offenders, the constitution was amended to eliminate the degree requirement. In "A Plague of Plagiarism at the Heart of Politics," Times Higher Education, focuses on a series of plagiarism cases among top officials in several countries, including Romania, where academic degrees seem to be available for sale. Are politicians more prone to this kind of hanky-panky than others in society? Is degree fakery and plagiarism a global epidemic? Are there effective means of checking on the veracity of academic work? One Pakistani provincial chief minister said, when accused of having a fake degree, “A degree is a degree. It does not matter if it is real or fake.” This type of fraud pervades the corporate sector as well. In February of this year nine people were put on trial for the involvement in providing fake graduate degrees to executives of major international corporation including many in the Fortune 500. It seems that we have reduced university education to a credential and, as a result, reduced its meaning and value. After all, there are many paths to a credential, some less ethical than others. As the news articles referenced above indicate, fraud is not limited to diploma mills—established universities are vulnerable as well. What is to be done? There is no way of stopping duplicitous behavior of this sort. Those who wish to cut corners regardless of principle will, of course, find ways. Technology has made forgery and plagiarism easier to commit but sometimes also easier to detect. Oversight by a reliable and transparent quality assurance regime is essential, as are national systems that make public (and easily accessible) the accreditation status of academic institutions and its degrees. These measures go hand in hand. Public awareness of fraudulent practice and aggressive sanctions are critical. In the cases cited in this blog, an attentive media, public watchdogs, and public censure drew attention to the fraud and created an atmosphere where perpetrators suffer consequences. Indeed, it is likely that whistle blowers and journalists will be key elements in protecting society from infractions of this kind in the future. Perhaps continuing publicity and effective controls will help but it is doubtful that the temptation to claim unearned credentials will disappear. Clearly we need to stop taking degrees on a CV at face value. Sadly, the fraud of a few throws into question the degrees dutifully earned by thousands as a result of their intellectual commitment and hard work. Sadly, we now live in a world where the potential misdeeds of a few cause us to question the deeds of all. The problem of bogus degrees and predatory schools goes well beyond one company in Pakistan. Still, the startling revelations that one outfit could cast such a wide net of duplicity give Congress and federal regulators the incentive they need to become much more aggressive at exposing fraudulent companies that pose as legitimate schools for the purpose of selling bogus degrees or luring people into costly but useless courses that lead nowhere. Some customers are essentially complicit in the scam, reaching out to Axact for the express purpose of buying fake degrees. But people seeking a legitimate education have been seduced into enrolling in online courses that never materialized or cajoled into believing that their life experiences were sufficient to earn a diploma. In one instance, a woman who called to inquire about a high school diploma was surprised to receive a diploma in the mail after taking a 20-question test online. The websites linked to Axact provide everything from high school diplomas for about $350, to doctoral degrees for $4,000 and above. Salesmen sometimes impersonate American government officials, then bully customers in buying forged or falsely acquired State Department certification documents for thousands of dollars. Meanwhile, the company has denied any wrongdoing. Axact, however, is hardly the only actor in this arena. In their book titled “Degree Mills: The Billion-Dollar Industry That Has Sold Over a Million Fake Diplomas,” the former F.B.I. agent Allen Ezell and his co-author, John Bear, set forth staggering statistics about comparable or similar frauds. They assert that there are 3,300 unrecognized universities worldwide, many of them selling degrees at all levels to anyone willing to pay the price, and that more than 50,000 Ph.D.s are purchased from diploma mills every year — slightly more than are legitimately earned. The fact that fake medical degrees seem particularly easy to come by raises obvious safety concerns. Congress, which has paid only glancing attention to this problem, needs to focus on it in a sustained way. That means getting federal agencies to devise a coherent plan for curbing these kinds of abuses.